After “American Teen,” Khalid was almost immediately heralded as one of the voices of our generation. And with five Grammy nominations, collaborations with Kendrick Lamar and Logic, and a certified platinum album, he has the accolades to prove it. But he’s inevitably grown since then. At 20, he is no longer a teen — a label that largely shaped the presentation of his identity, narrative, and success — but still has to undertake the famed name that precedes him. On Oct. 19, Khalid released “Suncity,” a seven-song EP, his first major project since his debut album. 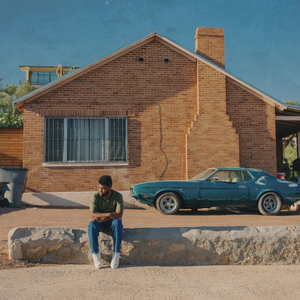 Whereas “American Teen” became the summer anthem for, well, the American teen, “Suncity” captures Khalid on the cusp of adulthood and all the uncertainty that comes with it. Naturally, he has less to say and more to ponder, and his songwriting uncharacteristically (but perhaps inevitably) comes up short. His vocals are as smooth as ever, but he chooses to explore the uncertainties of adulthood through synthesized instrumental expression rather than through the storytelling upon which he established himself, and his palpable inexperience weakens the EP’s cohesion and overall depth. In a nod to “American Teen,” he covers some of the same themes, albeit less convincingly. In “Saturday Nights,” he describes vague family tension and teenage angst: “And all the things that I know / That your parents don't / They don't care like I do.” The simple guitar progressions and snapping give the song a familiar intimacy, placing all focus on his silky voice, but his lyrics lack the depth that he’s previously shown to possess. The picture he paints is one too applicable, too commonplace to ring as personal, perhaps because he is catering to the demographics of his audience that are changing along with him. His love song fails to create the captivating and vivid stories of “8Teen” and “Hopeless,” which seemed to come so easily for Khalid at the time, making his new attempt feel superficial and juvenile in comparison. He continues on to explore his uncertainties, fears, and insecurities about adulthood and love through a dreamlike trance, using his voice not for articulation but as another layer of sound. In “Motion,” his words slur together, blending into the swaying and swirling synths that envelop his voice. “Vertigo,” by far the star track, sets his voice against swelling orchestrals as he blurs the line between reality and dreaming: “Are we alive? / Or are we dreaming?” He also inserts voice recordings of unidentified people liberally, both at the end of songs and as the interludes themselves — “I think I'm fearful of things like traveling / I'm fearful of failure / I'm fearful of being embarrassed / Things like that I think hinder me from the best that I can sometimes,” says a female voice in “Salem’s Interlude” in what sounds like an unscripted voicemail — which complicates the narrative continuity within the EP and seems to put forth the many voices swarming inside Khalid’s head. This dreaminess nearly permeates the EP — that is, until the title track, a Latin pop duet with Empress Of. It’s undoubtedly catchy, but it feels distinctly out of place with its bouncy, sensual beat. They sing in Spanish in unison, “Llévame, llévame / Donde dejé mi corazón” (Take me, Take me / Where I left my heart). It’s starkly different than his usual, nostalgic ballads in a way that feels unsubstantiated, and Empress Of takes control with her ethereal singing and a rhythm characteristic of her own electronic pop, leaving Khalid largely in the background. “Suncity” lacks the cohesion — tonally and thematically — to be great, but maybe it was inevitable for an artist whose initial success capitalized on an ephemeral life stage that he articulated geniusly well. He’s between decades and nearing the edge of adulthood — “Suncity” is not an end product but, as Khalid himself puts it, the “start of a new era”: a coming of age, and a stepping stone in establishing himself as an experimental forerunner in R&B. —Staff writer Kaylee S. Kim can be reached at kaylee.kim@thecrimson.com.